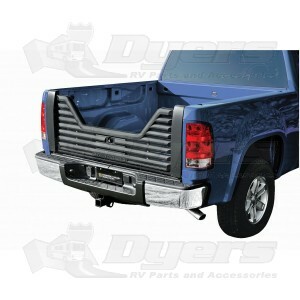 Great product at a great price.Installation was simple.Would recommend to anyone looking for a 5th wheel tailgate.Shipping was fast.Thank you Dyers! WAS EXTREMELY EASY TO INSTALL. FITS GREAT AND LOOKS GREAT TOO. GREAT VALUE.